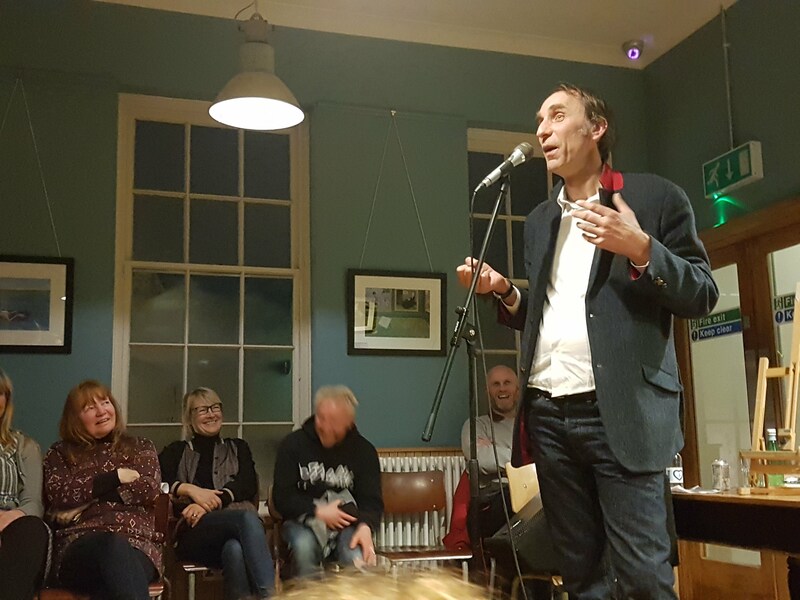 “Everybody knows that I was a junkie, I know it every time I look in the mirror.” Will Self’s deep, hypnotic voice booms through the Boston Tea Party. 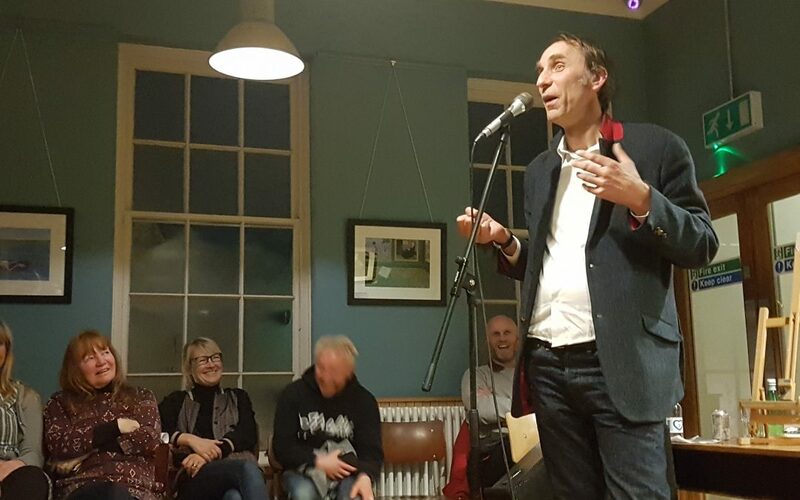 The writer and political commentator has already torn into the Tories, Brexit – “when it happens I’m leaving” – and told a tale about American immigration with all of his trademark dry wit, before moving on to the topic that has brought everyone here on this Wednesday evening. Chandos House, the last remaining residential rehab centre in Bristol, is under threat in the wake of Government cuts that have seen other services close and is desperately raising funds to continue its life-saving work. “I went to Chandos House this afternoon and I thought ‘these are my people’,” continues Self. “It’s my kind of rehab, I love the philosophy, and I love, quite frankly, the eccentricity that goes on there. “This is an establishment that will let people work pro-bono to pay for their treatment and one that will take people in without funding. This place is quite frankly a miracle in this day and age. “I walked through Bristol and, like any city in the country at the moment, there are so many people on the streets. I saw someone shooting up in broad daylight. Chandos House works with some of society’s most damaged men – those who have hit rock bottom and whom other rehabs have refused to touch – and helps people to turn their lives around through a programme that includes art and music therapy and a sense of brotherhood. It was set up by James Dickinson’s mother, “a single mum on a tough council estate in Fishponds” around 35 years ago and James has continued her life’s work. Even this evening, surrounded by people from across Bristol who have turned out to the Boston Tea Party on Park Street for the fundraising evening, he is attached to his phone, giving help and support to someone who has reached a low point. 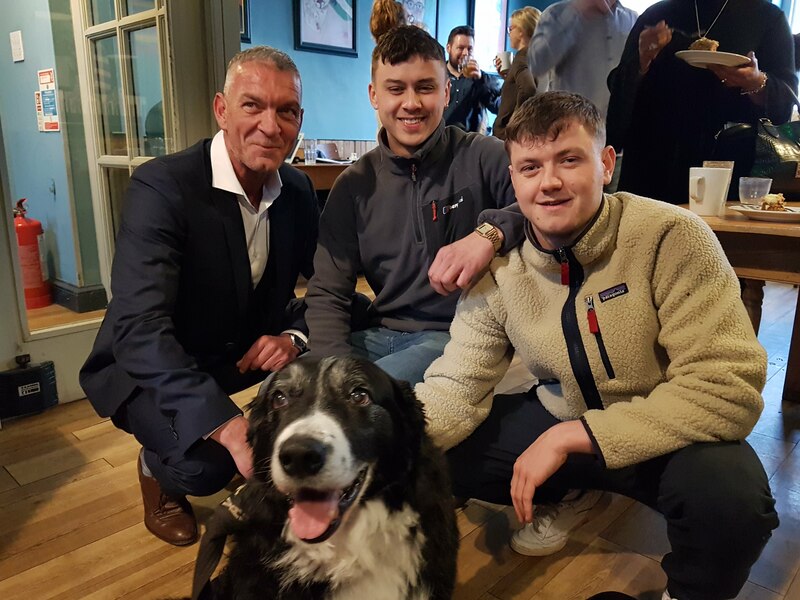 “Chandos House never turns its back on anyone, which is quite remarkable considering the difficulties in trying to get funding,” says Mike Peirce, a patron of Chandos House, who has himself recovered from drug addiction. 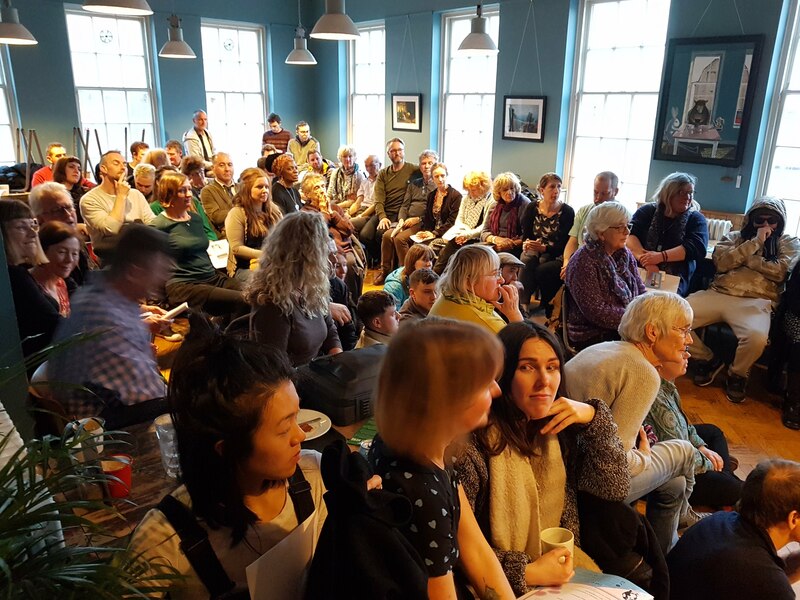 There’s art and signed work ready for auction from some big names, including Inkie, Nick Park, Alex Lucas, Stephen Fry, Grayson Perry and Eric Clapton, but it’s the life stories of former Chandos House residents that keep the packed room captivated. Will* has been clean for 16 years, but when he first went to Chandos House, everyone – including himself – had written him off. Luke* first went to Chandos 16 years ago and got clean, but when he relapsed in 2015, the centre opened him back with open arms. “I had a relationship breakdown in 2015 and managed to hold it together for a while but the wheels came off and I started drinking and using again and I rapidly went downhill and started having suicidal thoughts,” he tells Bristol24/7. He reached rock bottom and it was when he tried to kill himself that he reached out to an old friend who took him back to Chandos. “I said I had no funding and he said ‘I will come and get you and take you there’. James just held me and said to me, ‘you are safe’. I stayed for six months, then moved into a dry house and now I’m in my own flat. Luke wrote a poem about the labels men go into Chandos House with – ‘addict’, ‘junkie’, ‘crackhead’ – and those they come out with – ‘fathers’ and ‘sons’ and ‘partners’.